Walter Rhein, The Bone Sword. 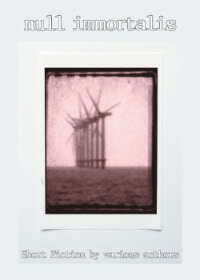 Rhemalda Publishing, 2010. Pp. 221. ISBN 978-09827437-2-0. $14.95 / £13.95. This isn’t Rhein’s first book, but his first with new imprint Rhemalda Publishing. My first impression of The Bone Sword, looking at the cover artwork, was a feeling of sinking doom. From the luridly coloured sky to the distorted, badly proportioned, and vastly over-photoshopped Renn-Faire blonde woman, none of it gave a good impression. Looking at the spine, the title and author’s name have been carefully placed so that they don’t stand out. The cover is credited to “Rhemalda Publishing”, which is quite fair enough; if I were the artist for this, I wouldn’t want to be credited either. Malik emerges from the swamps of Plaiden seeking only shelter, food, and the time necessary to take the chill from his bones. But after a barroom brawl lands him in trouble with the local authorities, he flees to the mountains with two orphaned children who have the power to heal. Pursued by the vicious Father Ivory and his Nightshades, Malik and his charges become the centre of a grassroots movement that quickly blossoms into a full-fledged revolution. Their problems are compounded when news of their exploits draws the attention of Malik’s former Captain, a swordsman of legendary prowess who will not stop until Malik and his followers are dead. As the final battle approaches, Malik must face both his inner demons and his former master in a duel that will determine the fate of the free people of Miscony. You’d think, with a blurb like that, that there must be much more inside. Sadly, that’s the entire plot; what you see there is what you’ve got. Still, the saying about judging a book by its cover is there for a reason, so I opened it up and prepared to be pleasantly surprised. Unfortunately, I wasn’t. The first thing I saw was the Map, and it’s, er, quite traditional. Miscony is a forest land, bisected by the Old Road, the East Road, and the Ergeron River; the map also features the Northern Tribes, the Southern Kingdoms, and the Eastland Spires. The legend (a simple “Miscony”, in a standard black-letter font) and the compass rose would be perfectly unexceptionable if not for the absurdly overenthusiastic use of drop shadows, rendering them nigh-illegible. This isn’t the author’s fault any more than the cover is, of course, but it’s still rather unimpressive. Turning to the text itself, on the first page we have foliage that glistens appreciatively and a protagonist who’s hot with fever while every part of his body is wet with cold. There’s a great, life-changing dilemma in front of him: should he go to the pub? (SPOILER: he does.) It turns out to contain lower-class men in homespun tunics, drinking mugs of foaming beer. Whilst I wouldn’t normally recommend literary criticism texts to a writer seeking to improve his craft, I think in this instance that Walter Rhein would benefit immensely from a close reading of Diana Wynne Jones’s Tough Guide to Fantasyland. The tavern has a resident bully, and the resident bully has a couple of scantily dressed girls; Malik uses “protecting the honour of peasant women” as part of the reason to kill him, but of course he leaves immediately and then never thinks of them again. Unfortunately, the misogyny and classism shown here (“[T]he regulars immediately stopped their drunken antics and swivelled their fatty jowls to the entryway with the telegraphed interest of a less-than-intelligent dog.”) set the tone for the rest of the book, and the only purpose of this chapter is to show us Malik’s rash impulsiveness and the titular Bone Sword—the legendary weapon of the Camden Guard. Presumably, this sounds like a good fantasy name to the author, but as a Londoner I’m imagining patchouli-scented Guardsmen wearing platform boots and eyeliner. The writing style is rather laboured and riddled with fantasy cliches, passive tenses, and ill-considered metaphors. The achievement had startled Jasmine, for never before had she dared to test the strength of her powers. But after seeing the reaction of Gerard and the other men of Elmshearst, her spirit had been soothed. The healing of the elder had opened a floodgate, and Jasmine had labored long into the morning curing hundreds of ailments of all shapes and sizes. Jasmine’s healing powers are the focus of the novel’s other plot strand; the Church considers them demonic in origin, and she has moral qualms about using them on people who will then be killed because they’re demon-tainted or who will go on to kill others. However, those are resolved (mostly by Malik) and she goes on to become the leader of an outright rebellion. Well, to be honest, she’s manipulated into it, as we see here with Malik talking her into becoming their innocent figurehead and potential scapegoat. The text, however, wants us to support and sympathise with the rebellion, and to admire her noble assumption of responsibility. In the end, the corrupt Earl dies, and Jasmine becomes Queen—but then again, generic mediaeval peasants are usually stuck with the feudal system even after the revolution. That may change if there’s a sequel—Jasmine does talk about the lack of real change at the end, but gets fobbed off with a pat answer by one of the ex-rebel leaders. It’s a bit of a curate’s egg of a book, though; I was never in any danger of not finishing it, and not just because I didn’t want to miss the next nugget of appallingness. The plot is basic and entirely unoriginal, but serviceable and fairly well paced, and the themes the book poses (how much loyalty do you owe to an organization that doesn’t repay it? When do you have to take a stand?) are good ones. 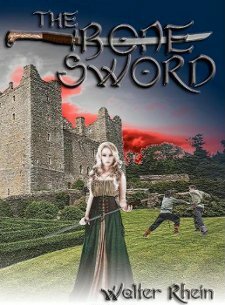 The Camden Guard, despite the name, are an interesting piece of worldbuilding, and it’s good to see a fantasy castle with garden features as well as fortifications—in this case, a hedge maze which plays quite an important role in the ending. It’s also good to see a protagonist of colour, though the name “Malik” and a reference to “long black hair” are the only indications we get. I’d have liked to have seen more female characters and more agency given to them; I like Jasmine, but she’s dreadfully constrained and never gets to do anything for herself. I’d also have preferred a general expansion of the story, and some motivations for the characters beyond goodness, arrogance, or self-righteous religion. Mostly, however, I’d have liked a more thoughtful descriptive style, and much less reliance on lazy conventions in both setting and narrative. 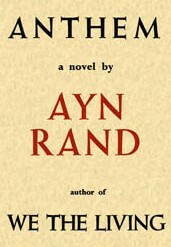 Anthem is a dystopian novella by Ayn Rand first published in 1938. It is set in a devolved and semi-primitive future society, beneath an oppressive ruling body known as the ‘World Council’. The protagonist is a male named Equality 7-2521 and the novel tells of his life and subsequent disenfranchisement with society. The novella itself is essentially an early exploration of Rand’s own philosophical ideas regarding individualism and subsequent criticism of the opposing ‘collectivism’. These ideas would be realised in greater depth by Rand’s later novels; namely The Fountainhead and Atlas Shrugged, but Anthem demonstrates a brief critique that relates to her country of birth, a socialist Soviet Russia. 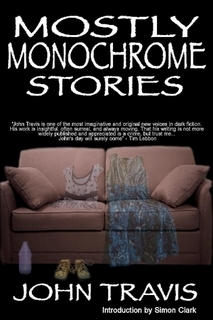 John Travis, Mostly Monochrome Stories. Exaggerated Press, 2009. Pp. 199. ISBN 9781409281696. $12.10/£8.01. John Travis is a new name to me, and after a little researching, I discovered he is a new name on the fantasy circuit, so far publishing this book and one other; a novel (The Terror and the Tortoiseshell—coincidentally an extension of one of the short stories in Monochrome). Having found success with the smaller presses, Travis won’t necessarily be found on the shelf of your local Waterstones, and this singularity and quirky, cultish positioning chimes in tune with this strange and wonderful collection of tall tales. Douglas Adams, writing in The Long Dark Teatime of the Soul, talks about how if one can just turn one’s head a certain tiny fraction of a degree, one can slip between realities, into a fantastical, mythic realm. I think that the denizens of that realm would be reading Travis. Any responses, I feel, I attempt to make as a reviewer, seem half-hearted, pale wannabes compared to poling about in John Travis’s darkly intriguing imagination! In the author’s note he mentions a condition he has long had: Synesthesia, where the senses are jumbled up; seeing smells, hearing colours and the like. The afterword by his friend and publisher, Terry Grimwood, calls the stories dreams and hallucinations. The introduction, by Simon Clark, places the tales’ impact very much in the realm of the mind, especially in “phobias, paranoia, obsession.” This is no easy read, no cosy snuggle-up book. It challenges, provokes and wrings out a genuine emotional response. Unfortunately, it can also be very hit and miss. The lurid flashes of fiction are not neat packaged tales of stylistically neat, artistically-packaged fictional lives found in the larger number of novels. Some I could follow easily, other I could not follow so well, yet all left me with the sense of unease that I had experienced something like that before. By their very strangeness they are very familiar. Interestingly, Clark relates this to a sense of Travis’s hometown influencing his writing with some of its feeling of prickly strange-usual-ness. And yet Travis has managed to bring the same out response in me; a distant and removed reviewer. This ability to channel the spirit of intention into a fictional form, and make it accessible to those who have not shared the author’s own lived experiences is enviable indeed, and quite possibly hails him as a writer of extraordinary emotional impact and depth. The reader is, more often than not, right at the immediate start, or even in the middle, of a series of events, which finish up tight on the wrap of the main action. One is in there, with the characters in a disturbingly close relationship, whirled through a snapshot of events whizzing past. With such close proximity, it is no wonder one cannot help but feel hooked in. As short stories, they more than fulfil the criteria of getting as much done in a short time. However, it is in the writing itself, sometimes almost disintegrating into a stream-of-consciousness style of ramblings and loose associations that can alienate the reader as much as it piques. All very clever, yes, but I was lost on occasion; my least favourite tale was ‘Hey Garland, I dig Your Tweed Coat’ for that very reason. I felt as if I was watching a virtuoso in performance who was on such another level that I was not being invited to share, only to stand in awe, and given the greater approachability of even the strangest of the other stories, I took this one tale as the aberration. It seemed to want to out-Joyce Joyce! The emotional colour, by far the strongest aspect of Travis’s writing (the creative colours screaming off the page, sometimes running to the discordant in their visceral power), came across clearly in ‘Garland’; I caught the bittersweet sense of failure of the character’s soul, but it felt over-ambitious and overblown for what it was trying to achieve. In the course of the tales, Travis flirts with horror, gothic, ghostly, comedic, psychological thrillers genres and even the plain downright odd. But the stream-of-consciousness I mention above is his special skill, peculiarly filtered through the view of the third person, breaking the sanctity of the traditionally removed third person and writing the third as intimately as the first. It is when Travis uses the first person from the start of a story that the reader actually feels less intimate with the character. Perhaps it is because the first person signals a report from a character in hindsight, and thus comes closer to normative story telling, whereas his third person runs parallel to the events the character is undergoing. I started to suspect that the author is playing with the conventions of first and third person narration specifically to unnerve the reader and jolt them from complacency; certainly the unnerving subject matters seem to bespeak a desire to make the normal seem anything but. I mentioned that this is no cosy curl-up-with-a-book read, and it is no picnic for Travis’s characters, either. Given the shock-tactics of his writing style, it does not mean we are in for plain sailing. All the characters are undergoing a period of stress. Whether supernatural or psychological, through break-downs, breaks with reality and paranoid delusions. The reader is trawled through the raw wounds of their fears and visions, Travis painting his backdrop in the colours of their consciousness. The scope for readers’ interpretations is huge. It could be literally a series of horrific incidents, or they could be the metaphorical ravings of overheated imagination. The feverish intensity reminded me strongly of Goya and Dali’s sometimes nausea-inducing visions. If one were to really try to pin down any take-home message from Travis’s writing, then perhaps it could be described is as a series of gothic morality tales. These include admonitions to be wise (‘The Happy Misanthropist’, ‘The Dance of the Selves’), to be good and stick to the path (‘Dragging the Grate’, ‘Ode to Hermes #54’) and to be vigilant of others; there are characters here for whom society has failed, leaving them broken, breaking and alone. It is these that provide the most heart-rending stories. In ‘Nothing’, a widower, utterly destroyed by the loss of his wife and daughter, falls deeper into seclusion and delusion, believing that be sealing himself in, he can bring them back. We have all had moments where we have thought that if we wish hard enough, things might come true. 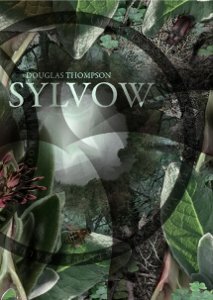 Travis hooks us in with this shared hope: will this be a fantastical tale with a happy, supernatural ending? Will it be a classic narrative sop to the social fear of death; wherein the poor man sees them one last time and makes his peace, perhaps to emerge into the sun? Instead we are faced with brutal reality: lean description, every word counting, in a short, sharp shock of icy failure. Even the detail that the widower is trying to capture: the flakes of skin from his lost ones he believes are dancing in motes of dust, is at once an utterly mundane aspect of housekeeping, yet is pathetically hopeful; the widower’s fairy-dust to sprinkle over his loss and numb the pain. But the widower is denied the happy ending: this is real life, people, and he dies of malnutrition. Reality brutally intercedes into ritual and cracks open the tabernacle of false belief. ‘The Man Who Nailed Himself to the Bench’ I found one of the more disturbing reads, but a prime example of when Travis’s lurid, hallucinogenic third-person-intimate style is pitch-perfect. On reflection, this is most likely a tale of a paranoid schizophrenic breaking apart, topped by his eventual death after he literally nails himself in place to prevent his demons taking him away. And in marked contrast to ‘Garland’, although it reads like wading upstream into the protagonist’s mind and peering fro some sense of place and time through his skewed vision of the world, stylistically there is much greater cohesion between content and presentation. This is a disturbed individual; we face his fears with him, but we are not left wallowing, or detached. The balance is better preserved. Still more stories are closer to nightmarish fairytales (‘Pyjamarama’, ‘It Grows in Your Face’ and ‘Reduced to Clear’), where the characters struggle with seemingly incomprehensible events which may or may not lead them along a path to greater understanding. And some are piquant little bitter-sweet vignettes (‘Beyond the Call of Duty’ and ‘The Flooding of Mark Wiper’). In the end, the only consistent factor in Travis’s mixed bag is that these are tales crafted for the joy of writing; for a reworking of the mundane in a palette of a triumphantly minor key. Ironically, for Travis these are his “monochrome” tales: the ones his synesthesia does not lead him to see in Technicolor! Travis has technically succeeded as a dexterous and gifted writer. However, I found it a shame that on occasion I was left standing, abandoned by the writer as he spiralled into a froth of creative excitement I could not follow. I like to be challenged: but being left behind like that is akin to being last in the race, wheezing in behind the others; no part of their excitement or pleasure. Or listening to an amazing piece of highly complex, intertwining melodies, knowing it is the work of a genius, but unable to hear more than a mess of notes. Sometimes Travis’s mind leaps a little further than common expectation can reach, and while genius proficiency is much vaunted, how can it be proved when the end result sounds to those more earth-bound souls doing the assessing as a mess?